ERA Team VP Real Estate’s annual listing competition was kicked off on May 16, 2016 and runs until July 16. Each year the event is held to foster some friendly inter-office competition and boost the listing inventory before heading into the summer season. This year we are doing something a little bit different, so light the torches and queue the music… the competition is OLYMPICS themed!! 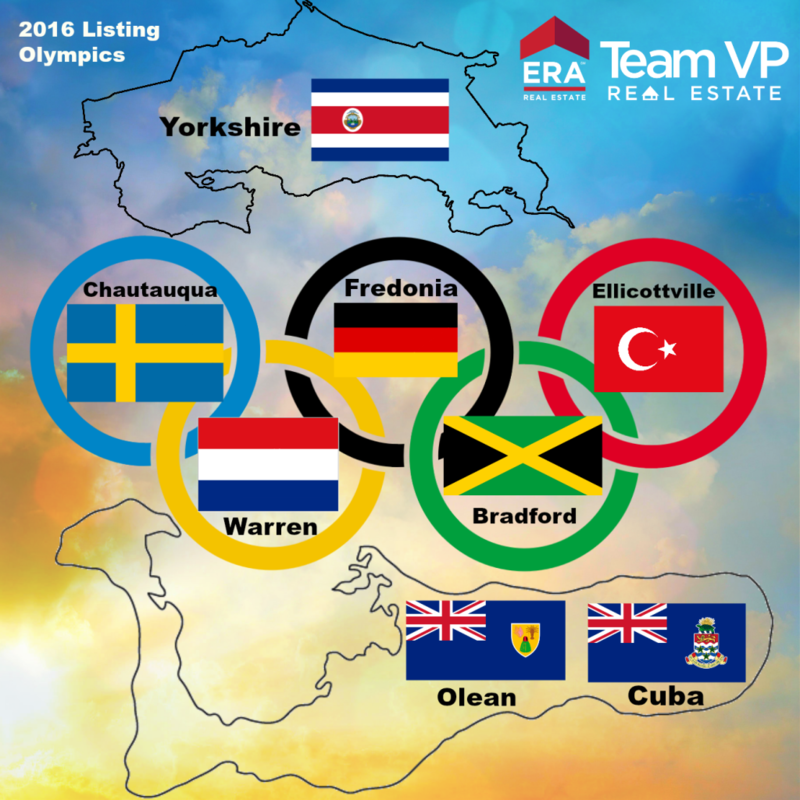 In a similar style to the Olympic Games, the 2016 “Listing Olympics” features the Agents competing both individually and as a team. Drawing into ERA Corporate’s global reach, each of our eight main office locations will be choosing from a list of countries that ERA has offices in globally! Each of these categories is structured to either aid the Agents in gaining more listings, enhancing their current listings, or simply improving their current marketing skills. They can earn a certain number of points in each category by doing things like attending weekly sales meetings, posting to their social media accounts, utilizing TextERA riders, participating in trainings/webinars, and more! Each individual Agent as well as the office teams will be competing for the Olympic Gold, Silver, and Bronze medals that will be awarded at the Closing Awards Ceremony (date TBA). The top overall point earners will be taking home the grand prize which will be announced at a later date. Previous year’s grand prizes included an apple watch, Microsoft Surface, professional camera equipment, vacation certificates, etc. There will also be a prize auction where additional prizes will be raffled off to individuals. It’s a Chinese style auction, so the more points the agents earn, the better chance they have of winning a prize! As agents are competing for the Gold individually, prizes will also be awarded to the office team with the greatest percentage increase in listings over the same time period in 2015. Individuals can help to boost their office’s chance of winning the Gold by getting more listings! This annual competition has been great way to encourage teamwork and comradery within ERA Team VP and is a blast for everyone involved! See you all at the awards ceremonies and may the best country win! Next Next post: Our Website has Launched!